Part I of a special MKC feature on Jang Kun-jae. The beauty and innocence of young love might be the greatest hoax perpetuated by the mainstream media. A couple walking hand in hand together while surrounded on all sides by a bucolic setting, two lovers sitting in a warm cozy diner with a straw in each of their mouths while they share a milkshake, or the hustle and bustle of a crowded noisy street muted by two lovestruck individuals stealing a kiss or embrace. The young and not so young are fed these cliché images to the point that artists can’t help but regurgitate them back to their respective audiences. The romanticism that was first born from the mind of Goethe has mutated into the “Hallmark moment”, sappy, sentimental, and dangerous. At it’s most idealistic, young love offers a safe haven for youths who’ve experienced the joy and elation of caring and feeling protective over someone other than themselves, but at its worst it can be an easy excuse for self-absorbed and destructive behavior. In Jang Kun-jae’s debut, Eighteen (Hwioribaram, 2009), these two distinctive poles are examined through a very familiar story of young love that ought not to be. Yet, unlike many Korean romantic melodramas this is not a linear narrative charting a relationship from meet-cute to break-up. In fact, it begins months after the break-up. It is a post-mortem love story told mainly through flashback, blending cinema-verite with splashes of magic realism. The young couple in the film are normal run-of-the mill Korean teenagers: they’re attached to their smartphones, they’ve got school and parents badgering them about college, and their idea of the future doesn’t stretch any further than a few months. There is nothing distinctive about their lives or personality. The boy Tae-hoon is, like all young bucks, impulsive and emotional but it doesn’t take long to realize that he truly is in love with Mi-jeong (Lee Min-ji). When we first catch sight of the two he is busy playing the provider, begging random people he sees on the street for some money to buy train fare for both of them while Mi-jeong stands several yards away passively watching. This very un-masculine show of affection is funny but it also illustrates a very important theme throughout the story: the realities of modern day life are a constant threat to young love. The couple’s return from their honeymoon vacation is the beginning of the end of their relationship. Mi-jeong’s father calls Tae-hoon’s parents for a meeting, but in reality a confrontation. Tae-hoon and Mi-jeong are forced, like criminals, to write down what they did together. They are both questioned and they both fail to give the correct answers. Irate, and with a belly full of whiskey to fuel him, the father attacks and the couple are forever split apart. They make promises to see each other on the sly, but it’s all wishful thinking. 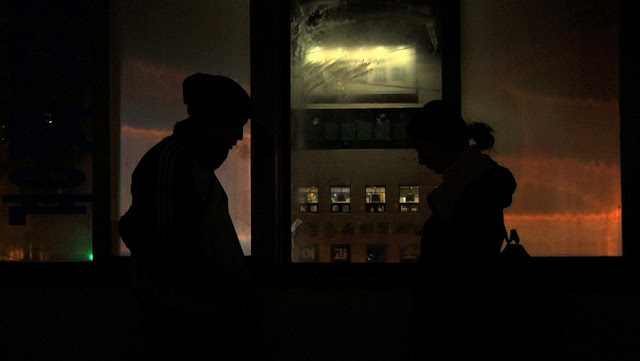 In a traditional narrative the young couple would commit suicide or run away, but Jang’s film is about the quiet tragedies of life. For the rest of the movie we are witness to Tae-hoon’s seemingly bottomless descent and never-ending misfortune. Full of hope at the beginning of their forced break-up he texts and messages Mi-jeong constantly but her unresponsiveness propels him to quit school. He gets a job, but that doesn’t bring him any closer to Mi-jeong and he soon starts to make a series of blunders that cost him his employment. His actions: impulsive, erratic, and selfish, don’t help us empathize with him. In fact, watching the film I began to hate him. Tae-hoon’s immature juvenile angst at not being able to see Mi-jeong and non-stop spitting would have been grating if it were merely one-note, but Seo Jun-young is clever enough to blend those familiar annoying teenage tics with that of a boy trying to woo the girl of his dreams into liking him again. A perfect example being the scene when Tae-hoon goes to a jewelry store to purchase a necklace for Mi-jeong, finding the perfect gift for her he inspects the necklace he’s chosen. In long shot we watch as Tae-hoon cups the necklace in his hand and inspects it like a little boy. Next, we catch him at McDonalds writing a little note to give her along with his present. And finally a scene with him outside Mi-jeong’s after school academy waiting to catch her and give her his present. During these three scenes we are witness to the last embers of Tae-hoon’s love for Mi-jeong rekindled for a few brief moments and then extinguished. As for Mi-jeong she is more of a mystery. Jang doesn’t devote a lot of screen time to her, and the majority of scenes that Lee Min-ji does have are centered on Mi-jeong reacting to another character. She rarely expresses her opinion and though seemingly in love with Tae-hoon she quickly calls the whole relationship off, scared of what the other man in her life, her father, would do if he caught the two together. The only time Mi-jeong allows her emotions to boil over is a telling scene between the only female characters we see her interact with throughout the film, her mother and her sister. In front of these two her rage cannot be contained and she lets out a flurry of slaps, jabs, and kicks. The milquetoast Mi-jeong finally fights back, but her rebellion is short lived. After this, Mi-jeong becomes like a zombie, the part of her that dreamed and felt happiness having either died or pushed so deep inside her that it's all but lost. Interspersed in-between the dissolution of Tae-hoon and Mi-jeong’s relationship are snippets of their winter trip together. Jang visualizes these scenes mainly as choppy smartphone footage and shows us an alternate universe where the two lovebirds are together and happy. Yet by the end of the film Tae-hoon and Mi-jeong are no longer together. However, Jang doesn’t give us a typically sad ending as the two are seemingly healthy and their lives look to be back to normal. Their brief romance now just a happy, sad, painful series of events that live on in their memories. I couldn't help but think of Tommy Viseau's The Room when I watched this movie.